SafeSkys, part of leading global aviation company, Air Partner, is celebrating its 25th year of industry-leading wildlife hazard management. The brainchild of aviation specialist Richard Barber, SafeSkys began operating out of the kitchen of his home in High Wycombe, just 30 miles from London. Founded to offer a better service than that being offered by existing companies, SafeSkys sought to more effectively limit the danger to commercial and private aircraft of bird and wildlife strikes, which can have a catastrophic effect, endangering passengers and aircraft crew. According to statistics from the Civil Aviation Authority (CAA), there were 1,835 confirmed bird strikes by aircraft in the UK in 2016. This threat is expected to increase as the number of commercial aircraft operating in the world is set to double in the next 20 years, making British skies even more crowded. Since then, SafeSkys has grown from a staff of two to 84, becoming one of the world’s top wildlife hazard management companies, winning major contracts throughout the UK and around the world. Mark Briffa, Air Partner’s CEO, said: “For 25 years SafeSkys has been making a real difference keeping our skies safer and ensuring millions of airline passengers can fly without fear of bird strikes or other wildlife endangering their flights. “Our hard working and dedicated staff have decades of experience, offering the highest of professional standards in airports around the world. 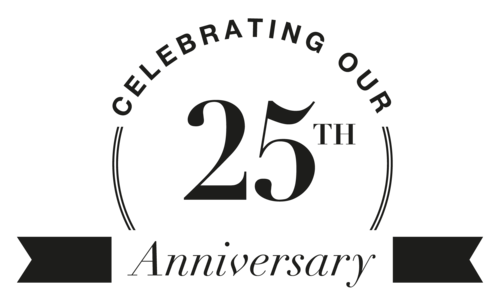 We are rightly proud our hard-working and dedicated colleagues have helped us reach this momentous 25th milestone. Richard Barber, SafeSky’s founder, said: “I was always ambitious to make SafeSkys one of the world’s leading wildlife hazard management providers and was determined to offer the industry a real alternative. SafeSkys’ highly-specialised bird control and wildlife management division is busier than ever as airport’s face the challenge to keeping growing numbers of aircraft in the sky safe from bird strikes. The company’s experts carry out detailed wildlife risk assessments at each airport they work with before offering the best and most affordable solutions to tackle the issue. As a recognised European Air Navigation Service Provider (ANSP), SafeSkys also has full legal authority to manage air traffic for both civil and military clients. Its first contracts in1995 saw it providing ATC services to BAe Woodford and Sheffield Airport. Since then it has taken on a complete ANSP role for numerous airports and become a leading supplier of ATC services. It provides highly-trained staff and navigational aid (NAVAID) maintenance engineers for a growing number of civil and military airports on a short and long-term basis around the world.